Despite very low inventory, the market still remained balanced as the sales to new listings ratio hit 0.54. According to Will Dunning, when the sales to new listings ratio is about 0.51 you can expect home prices to trail inflation.When the ratio hits above the 0.55 mark then it's a sellers market. Below 0.40 is considered a buyer's market and between 0.40 to 0.55 is considered a balanced market. 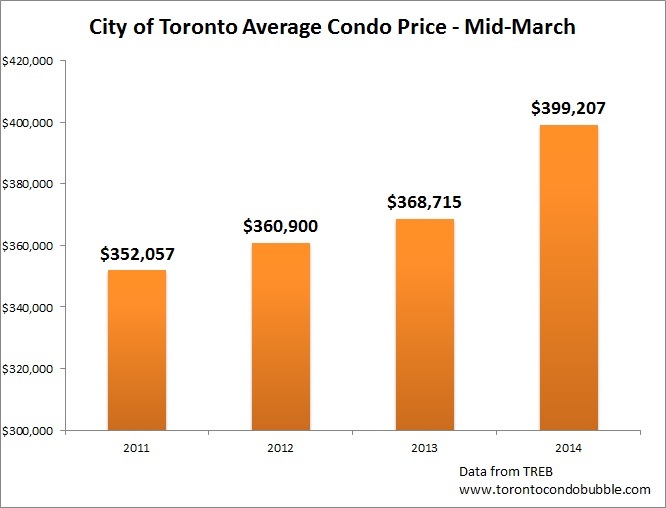 Below is a quick glance at the Toronto housing market stats for the first two weeks of March 2014. 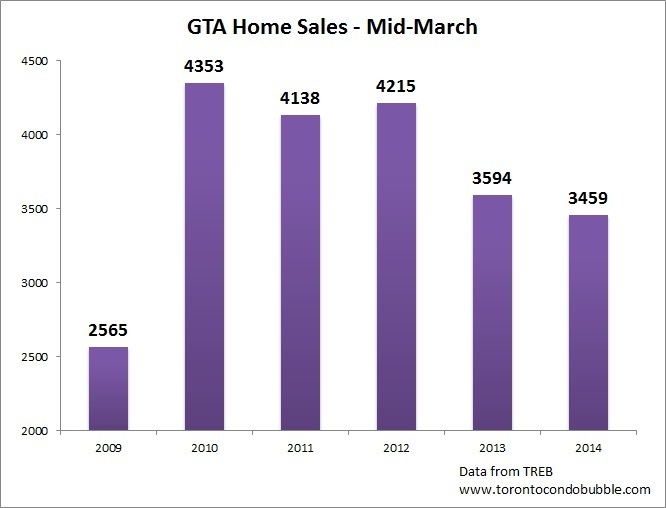 Home sales in the Greater Toronto Area were down about 4% from a year ago and 18% from mid March 2012. 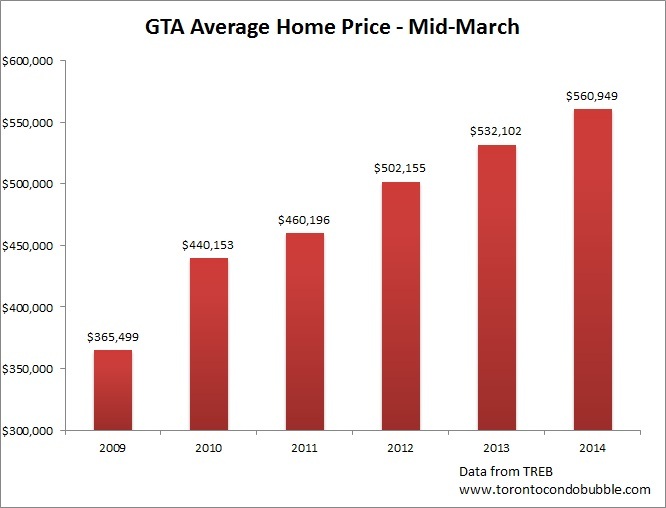 The average home price in the GTA was up 5.6% to $560,949 in mid-March 2014. The average home price was up 53% compared to 2009. 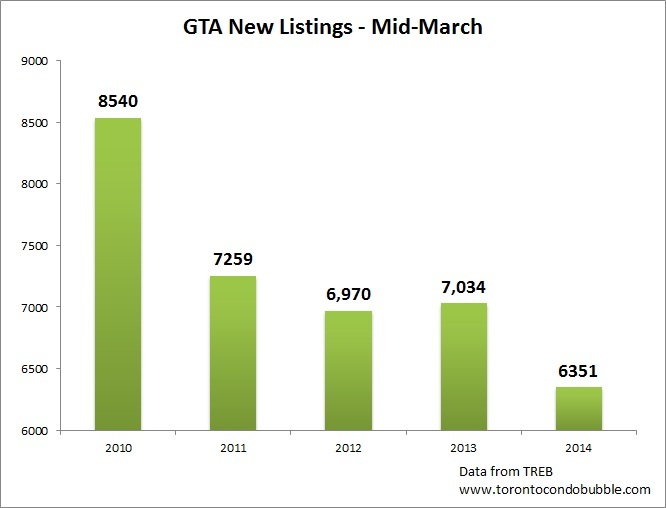 Interestingly new listings continued to decline. It seems like there is a decreasing trend. “The average single-detached price was down slightly in the City of Toronto year over year because of a smaller share of luxury deals this year compared to last. 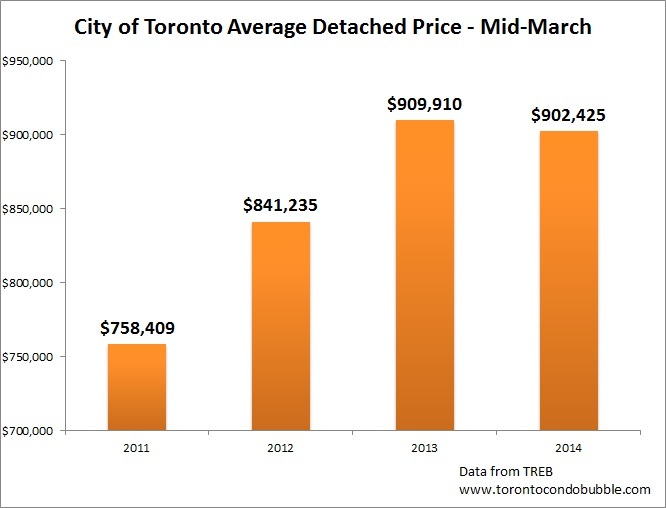 Tight market conditions will continue to drive strong detached price growth in 2014." Yet condos in the city went up by almost 5%. Condo sales were down 4.3%. Tomorrow I will take a look at the new housing market in Toronto. There were some interesting developments so stay tuned.